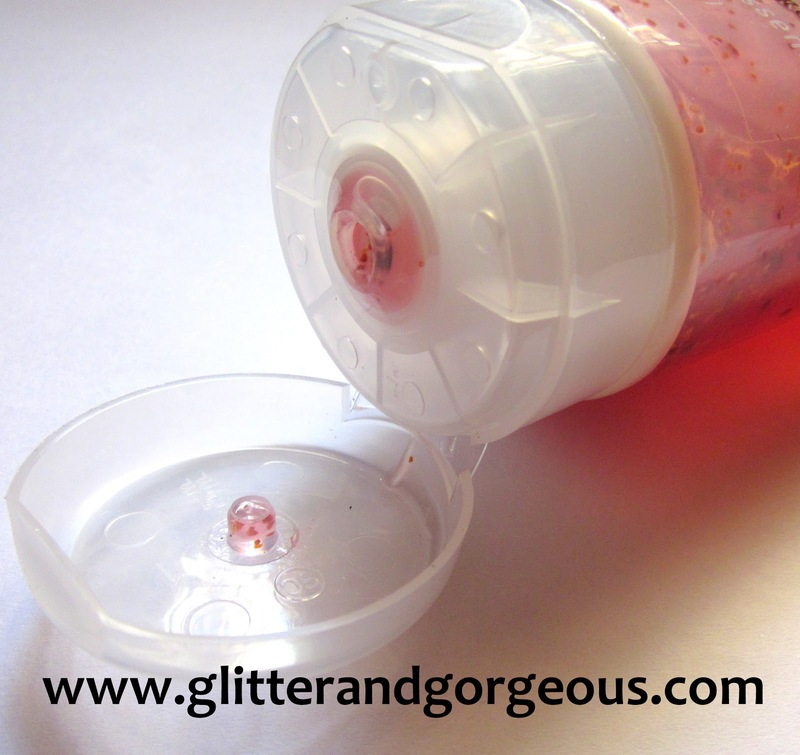 The Nature’s Co. Cranberry Exfoliating Body Wash: Review - Glitter & Gorgeous!! Let me start off by telling you guys that I’m a person who doesn’t spend much on skincare! There are only two brands that I completely trust with my skin with, one being Lush and the other has become a thing of the past due to a bad experience which is The Nature’s Co. Anyway let’s go on to the review! Anything with berries in it fascinates me. I blindly buy anything that has the word “berry” in it 😛 So the Cranberry Body Scrub from The Nature’s Co was a must buy for me. This product works best for those with dry skin. I have extremely dry skin and I use this once a week. How I use it: I take enough quantity to use for my entire body on my hand and add a little water to it and use it. Since it is in a gel form it is a little difficult to spread and scrub evenly! The scrub has kiwi seeds and walnut grits which forms the scrub part. Cranberry is known to be an excellent anti-oxidant and moisturizes and facilitates smoothness (mentioned in the packaging). I love the scrub as it leaves the skin feeling soft and supple. It has definitely made my skin smoother with use over time and I can see visible results. It also moisturizes my skin to an extent but I somehow feel the grits are a little too coarse on the skin which makes it necessary to moisturize after bathing. The exfoliating scrub smells exactly like cranberry and is so yummy although I must say that the fragrance doesn’t linger on for a long time. It lasts for about maximum 2 hours. For those of you who love lather won’t be disappointed with this one. This one lathers to an extent if used with a little water. The price is definitely on the higher side (845 bucks for scrub :O). And if there is one more thing I dislike it is the dull packaging. C’mon! When I pay 845 bucks I expect the packaging to be better! Also I somehow don’t like flip open caps and tubes for body scrubs! And the packaging is extremely boring! Overall if you have extremely dry skin like me (if you are willing to spend 800+ on a scrub) then you can give this one a try. It has lasted me a long time now since I use it only once a week! I wouldn’t say this is a must have product but if you have the money to splurge do give it a shot! Avon Ultra Color Rich Brilliance Lipstick Swatches!! Oriflame Pure Color On The Go Lipstick Swatches! !